McLeodGaming - View topic - Do any characters need a remake? Re: Do any characters need a remake? what are hitstuns and knockdowns and why do they make his down special a perfect execute move? and plus i think you haters of wario bike are blind they basically made bash his f tilt in super smash bros and made bike his side special cant you accept that to be like the super smash bros move-set just make ssf2 wario have bike as his side special and f tilt as bash then it with be equal who agrees with me? Last edited by RydOmega on Wed Oct 11, 2017 12:04 pm, edited 1 time in total. this went from a thread about remakes to Wario's bike. Ok seriously tho, don't create more than 1 post in a row. If you want to say more things after posting something, either wait for someone else to post, or edit the post you already made. Basic forum etiquette. 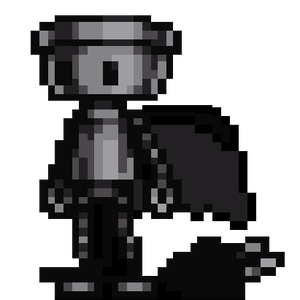 - I've already outlined a potential moveset rework to him, and should he ever get his sprites redone, I'm only hoping that some of the moves actually make it in and make him really feel better. He's actually faster than the tank he is currently. Jab Attack is now four hits instead of three. Infinite stab is brought back. Dash Attack is either Jump Attack or Running Stab. Neutral Air is a completely new move that allows Link to spin around and cover two hits around him. Up Air has Smash 4's animation. Back Air is his back slash from prior versions. Down Special has a chance of pulling out large Deku Nuts. - Simple sprite remake necessary, please. - Make his moves not so clunky and feel as fast as he is? Also, Final Smash should be Ultra Instinct. - Do I really have to explain it? Just make him less of a semi-clone of Fox. :sora: - I've already outlined a potential moveset rework to him, and should he ever get his sprites redone, I'm only hoping that some of the moves actually make it in and make him really feel better. Bruh, you want to break this game? Didnt Link just get a notable run speed buff or something like that? is this super smash bros 3ds or did you use his side attack? but it's called Side Smash. Wario's shoulder bash in Brawl is his Side Smash. Which is why we don't need the bike anymore.